Guest ministers were invited to speak in Ithaca beginning in October of 1865. The community response was positive, and the Church of Christian Unity, as our church was first called, was established in July of 1866. Between Scott’s departure in 1897 and the arrival of Rev. Ralph N. Helverson in 1942, the church was served by nine pastors, some of whom stayed less than two years. During Helverson’s long ministry (1942-1959), the church reached new heights of membership and activity. The “Ithaca Unitarian” began publication in 1944. Members worked to help feed starving Europeans during World War II and to resettle displaced persons after the war. Helverson stressed the natural alliance of religion and art through the observance of “Art and Religion Sunday” and the installation of art and gallery illumination in the Parish Hall (now the parlor). Frank L. Eldridge was hired as organist in 1946 and remained director of the musical life of the church until he died, greatly mourned, in 1993. 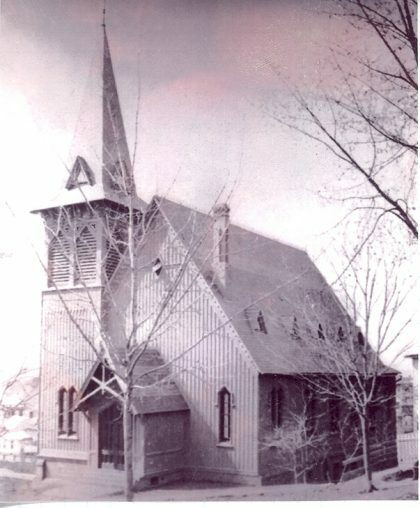 The church hired its first Director of Religious Education in 1957, and in 1958 purchased the house at 306 North Aurora (now the Parish House) for its expanding religious education programs. The 1960s were a time of disruption for the church as well as for the rest of the nation. Many members of the congregation worked hard to protest racial segregation and the war in Vietnam, and there was a general feeling of “burnout” by the end of the decade. 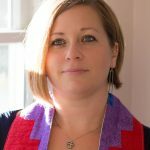 That was soon to change: the arrival of Rev. John A. Taylor in 1971 initiated a period of unprecedented growth and activity. On November 19, 1975, the congregation dedicated its magnificent new Wolff organ, which has served as a centerpiece for the church’s musical life since that time. The organ was rededicated in memory of Frank Eldridge following his death in 1993. Sunday services and church-school (religious education) attendance increased steadily during the 1970s and 1980s, to the point where the church outgrew its facilities. The need for additional classrooms was particularly pressing, as church-school attendance mushroomed under the guidance of Lois Ecklund, Director of Religious Education from 1976 until her retirement in 2005. In 1991 a capital campaign, seeded by a major gift from Cornell professor and artist J. O. Mahoney, financed the renovation of the church and the Parish House next door, permitting expansion of both religious-education facilities and function spaces. Although refurbished, the sanctuary was not expanded, and in 1995 dual Sunday services became necessary. In the spring of 1996 the church regretfully accepted John Taylor’s resignation when, after 25 years as minister, he retired. In the first two years after Rev. Taylor’s retirement two interim ministers, Rev. David B. Parke and Rev. Herb Adams, served during the time required to search for a new minister. In 1998 Rev. Stanley Sears was called as the new minister. In 2000 the church expanded yet again when it purchased the adjacent building at 208 E. Buffalo Street. Its acquisition added greatly needed space for church functions and anticipated growth. Rev. Sears resigned as of July 2003 and Rev. Richard S. Gilbert returned to the Ithaca UU pulpit as our interim minister for two years, 2003-2005. He had been this church’s settled minister from 1965 to 1970, before moving to Rochester, New York, to serve a UU congregation there. By the time Rev. Gilbert left for the last time in 2005, a settled-minister search committee was already hard at work. The years 2005-07 saw two interim ministers working with our religious community: Rev. Carol Hepokoski and Rev. Mark Allstrom. Both worked with search-committee members and the congregation to get things ready for the next settled minister. In Spring 2007 this congregation called Rev. David Grimm as our new settled minister. A native Californian, David Grimm did his college studies in New York City and most recently served a UU church in Albuquerque, NM. Rev. Grimm’s desire to move his family back east was the providential factor that brought us to his attention and vice versa. In the spring of 2014 Rev. Grimm announced his intention to retire from full time ministry on October 31, 2014. Rev. Jane Thickstun served as our Interim Minister from the fall of 2015 to July 2017. We called Rev. Margaret Weis to serve as our minister on April 30, 2017 and she began her ministry in August 2017. The First Unitarian Society of Ithaca was organized in 1868. The certificate of incorporation is on file with the County Clerk, a few blocks from the church.